Welcome to the world of Tanya Larrigan a lady who has something that money cannot buy. 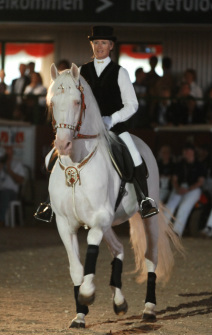 Which is a lifetime of experience with horses of all sizes different breeds, ages and abilities. With an area of speciality for helping horses who have problems often created by humans. For people who wish to learn or improve not only can Tanya 'walk the walk' so to speak, she can also 'talk the talk' with an easy and natural ability to pass on her knowledge to others in a way that is understandable and logical. The door is open to all whatever their ability, from a confidence issue, to the happy hacker, a grass roots rider to the seasoned competitor. Animal welfare features strongly in her work and her thoughts are that in order to make the world a better place for horses and ponies then make sure that knowledge is passed on. Tanya's world covers many areas of equestrianism and is as diverse as her life. To give you an idea check out below! *Was on the GB team for the first ever Junior European Dressage Championships in Aachen at 18 years old and then again at 20 years old! *Assisted her father Peter with the racing camels at Olympia!